A migrant mom says her son still has nightmares and told her, “I don’t want us to be separated again, we don’t want to be alone without you." Maria Gloria, a migrant from Honduras, and her two young sons still bear the emotional scars of their forced separation under the Trump administration’s “zero tolerance” policy last year, she said. They had come to the U.S. border in May and were seeking asylum after the family faced repeated death threats in their home country. Maria, 32, said her sons, 11-year-old Franklin and 8-year-old Byron, still wake up afraid in the middle of the night, especially her youngest. The little boy wakes up crying, sometimes saying things like “let me go” in his sleep, she said. When she asks Byron what his nightmares are about, he has said “I don’t want us to be separated again, we don’t want to be alone without you,” she told NBC News. The little boy has also said “he has dreamed many times” that those threatening their lives in Honduras “have killed me,” she said. Even after their reunion in July, Maria Gloria fell into a deep depression, barely slept and lost a significant amount of weight because of the separation, she said. “I was spending so many days so sad, crying, when my children would ask me things all I could do was cry,” Maria Gloria, who asked that their last name not be used out of concern for her family's privacy, said in Spanish. A year after President Donald Trump’s policy of separating children from their parents at the border was announced, leading to an intense backlash across the political spectrum, the administration says it is struggling against a growing “humanitarian and security crisis” at the southern border. The harrowing images of distraught children and terrified migrant parents that eventually culminated in the administration stopping the policy last summer were indicative of something else, too — the shifting nature of who was coming to the U.S. border. The U.S. immigration enforcement system was built to process single men from Mexico and now “we have a new wave of migration that is none of those things,” said Christopher Wilson, the deputy director of the Wilson Center’s Mexico Institute. Although apprehensions remain lower than their peak of 1.6 million in 2000, daily border crossings have recently surpassed a 13-year high with an increase in the number of Central American migrants, largely families with children seeking asylum, coming to the U.S. border in recent months. The administration has said border apprehensions were trending towards 100,000 last month and unaccompanied children now make up 60 percent of migrants apprehended along the southwest border. Wilson added that the current and previous administrations should have been investing for the changing reality of who was coming to the U.S. for the last several years. This “did not just happen overnight," he said. “We’ve really failed do all of those things for many reasons and across two administrations but at least in part because we’ve been so hung up on border security with the same prism we’ve seen it through the past 20 some years, when the reality was shifting underneath our feet,” he said. He said such investments could include holding spaces for families after they first come to the U.S., officers and others that are needed to process asylum claims in the U.S. immigration court system. The Obama administration began seeing a spike in the arrivals of unaccompanied children and families around 2014. 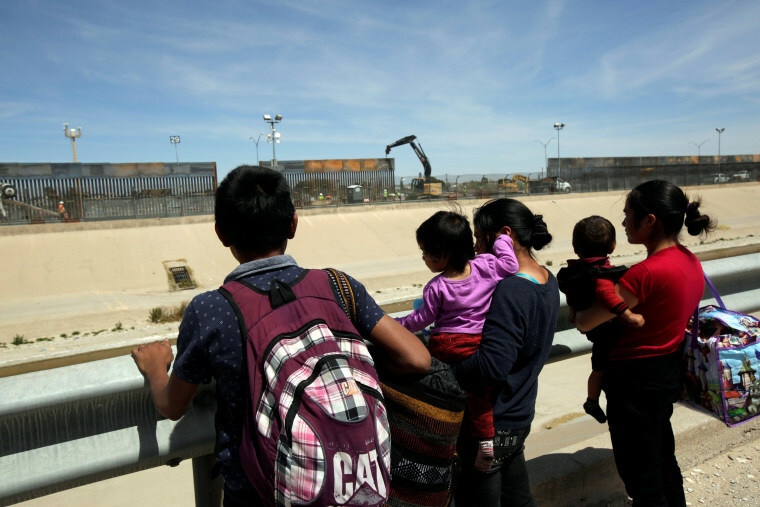 But even a year earlier, a the team from the University of Texas at El Paso (UTEP) warned officials about the problems they had handling unaccompanied children, said Josiah Heyman, director of the Center for InterAmerican and Border Studies at UTEP. Their initial response in 2014 was to create temporary holding shelters for unaccompanied children and attempt to keep families held in detention on a large scale while they pursued their asylum cases. That long term detention was blocked by the courts who found the government could not use “general deterrence” as a goal in its decision to detain families and the administration backtracked on the policy. Cecilia Muñoz, a domestic policy adviser to former President Barack Obama, said under his administration “important steps” were made within Customs and Border Protection such as changing use of force and other standards, creating pilot programs as an alternative to detention such as community-based monitoring programs, building and expanding detention centers that could house families. Trump has issued a series of increasingly harsher policies, including steps to make seeking asylum more difficult, attempts to lengthen family detention and the previous family separations, looking to deter the influx of migrants. “As I think the administration is seeing today, you can’t deter your way out of a situation like we find ourselves in today,” Reichlin-Melnick said.